The government’s new approach of engagement with the partners henceforth will focus on trade from aid unlike the traditional pattern. He added that during the RTM, the delegates have recommended Bhutan to use Bhutanese embassies and missions more effectively. There has also been request from the civil society organizations and private sectors to use foreign missions to enhance greater partnerships. “So, we would like to solicit proposals from all the sectors and submit it to the government and the government will assess and see if it can be submitted to our missions abroad. 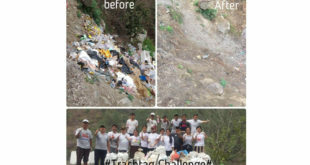 Lyonpo Tandin informed said that the three-day event saw active participation from the representatives of the development partners as well as representatives from the government organization, civil society organization, and private sector organization. Highlighting the discussions that took place during the event, the foreign minister informed that the deliberation mostly revolved mainly around the country’s 12th FYP – macroeconomic situation and outlook, experiences in implementing the GNH and SDGs, climate change and disaster risk management and innovative financing for development. 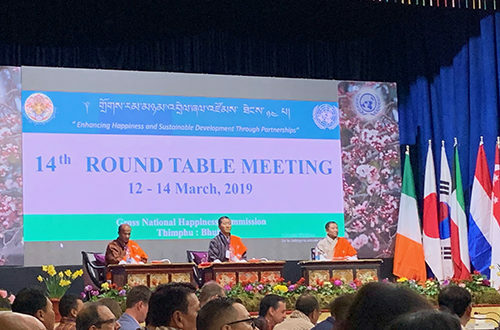 The foreign minister then presented the key messages from the panel discussions at the RTM— GNH as a development paradigm not only for Bhutan but also for the whole world, and the need to localize and pursue the idea of GNH more seriously by the three different arms of the government. Another observation that emerged was the need of the rural communities and roles of civil society organization and the plans and project CSOs implement must be included in the government’s plan. “The session on national development priorities highlighted that while our national data are impressive, a closer look by disaggregating the data revealed some serious disparities between the dzongkhags and gender. This calls for a more targeted invention,” said Lyonpo Tandin. 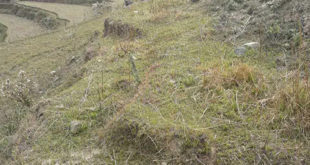 The GNHC revealed that Bhutan faces the challenges of disparities at the disaggregated levels where although poverty has been brought down to 8.2 percent, Paro and Thimphu have the least poverty rates at 0.3 percent and o.6 percent respectively while Dagana and Zhemgang have the highest at 33.3 percent and 25.1 percent respectively. The disparities at disaggregated level include 21. 2 percent of children under 5 are stunted, 9 percent underweight and lesser women in the decision making body. Climate change was also one of the main highlights of the discussion and there was a general consensus to support against the fight. “One of the integral parts of the discussion during the RTM was the financing and we were able to provide a complete picture on the financing for the 12th FYP. Providing a different outlook on the Bhutan’s approach of adopting aid to trade, the UN Resident Coordinator, Gerald Daly said that the UN, for a very long time has been involved in providing support to the countries that require assistance, but, he said that it is necessary for the UN system to transition to support the government shift—like that on Bhutan’s emphasis on aid to trade route henceforth. “We have whole new UN agencies starting to work in Bhutan and they are working to strengthen small cottage industries, which I believe has a huge potential. We see in other countries that there are opportunities around digital support to rural communities and there is also a lot of digital access in different dzongkhags here. I hope that we will find practical ways to support small and cottage industries which will help people to stay in the remote parts of their country,” said Gerald Daly. 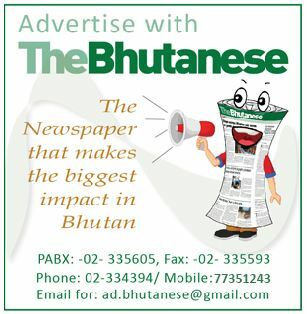 So, when the partners and donors are willing to invest in Bhutan’s developmental activities, especially in remote areas, Bhutan has the opportunity of shift from ‘aid to trade’ by capitalizing on such rural community empowerment. He added that after learning from the world that development cannot be all government led, it was heartening for him to learn the Bhutanese government’s decision to bring onboard CSOs and private sector, which he described as a common sense approach.